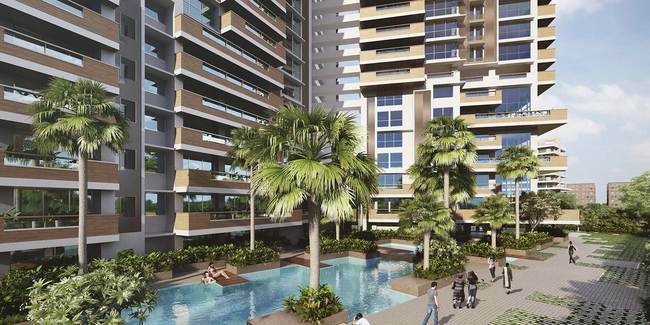 Details: Panorama is part of one of the best-gated communities of Ghatkopar - The Address. It offers 58 exclusive apartments with luxurious amenities along with ultra-modern & spacious 4 BHK apartments, and 3 exclusive duplexes. The apartments range from carpet area 3099 to 5813 sq ft configurations. The project provides amenities such as the Panorama swimming pool, fitness studio, ballroom and kid’s play area, grand club house, mini theatre, gymnasium, etc. Bandra East, Mumbai - 400051, Maharashtra.